Although tastings only just finished, wines have begun to be priced for the 2011 vintage, fairly early in comparasion with other vintages. Tasters and outstandings critics are publishing their comments as prices for this year are shared with the public, waiting in anticipation. Also interesting for this year is the fact that top Châteaux are leading the releases instead of the smaller properties. Lafite-Rothschild 2011 announced its availability yesterday, creating a bit of a stir at our Millesima office here in Bordeaux. Are you wondering how to keep up with the wonderful-madness that is Futures 2011? 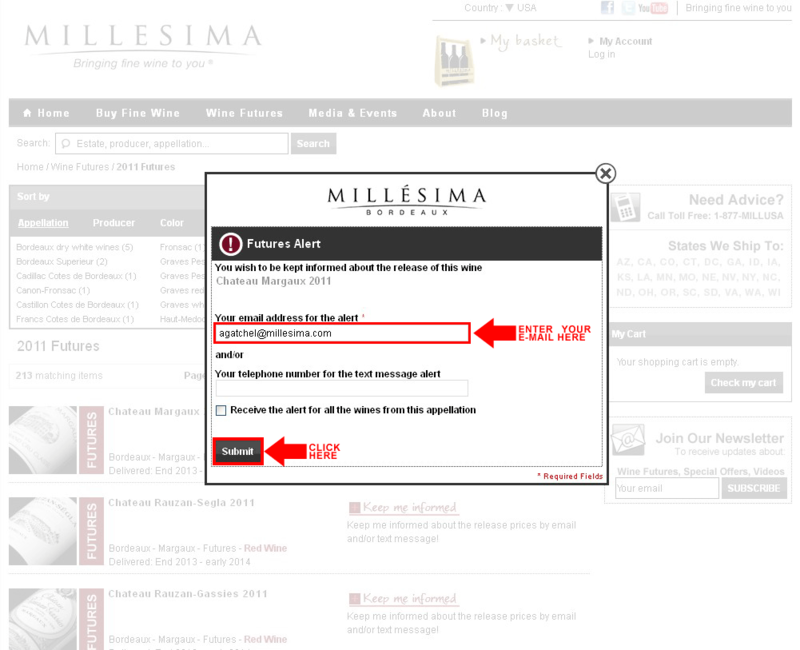 Millesima is offering our Wine Alerts service to keep you up to date on the availability of your favorite wines and appellations via your choice of SMS or email. 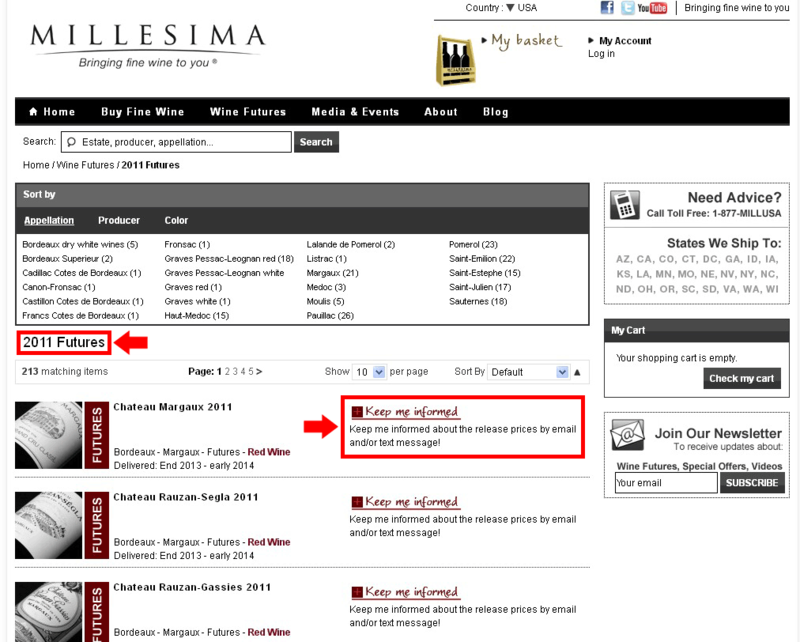 From our homepage millesima-usa.com, click on Bordeaux Primeur Releases 2011– View Now or Click Here. Enter your email address or cell phone number to receive a notification on the wine you have selected. Once you have submitted this form, you will receive an email or text with directions on how to control your alerts and add other châteaux or appellations to your notifications. As soon as information is released concerning your favorite properties, you will be in-the-know and able to reserve. Remember that for Futures pricing, the early bird gets the Cos d’Estournel 2011…for less!